wealth creation for those who learn how to navigate in it. 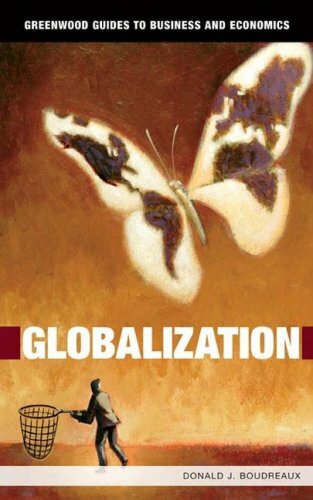 Globalization defines and makes sense of the workings of the global economy--and how it influences businesses and individuals on a local scale. Each chapter identifies common questions and issues that have gained exposure in the popular media--such as outsourcing, the high cost of international travel, and the impact of a fast-growing China--to illustrate underlying drivers and mechanisms at work. Covering international trade, national wealth disparities (the haves vs. the have-nots), foreign investment, and geographical and cultural issues, and supported with illustrations, maps, charts, a glossary and timeline of key events, this volume illuminates the dynamics of the global economy and informs readers of its profound impact on our daily lives. Globalization and Material Prosperity: What's at Stake?